With all the electronic time management tools at our disposal, it is amazing to me how many people still use paper planners. I guess there are a lot of people just like me that either love to work with paper or have discovered they manage their time better using a paper planner instead of an electronic tool. I don’t know what I would do without my planner! While I still have a long way to go to make it as functional as I’d like it to be, it definitely serves it’s purpose by keeping my tasks, projects, and goals all in one place. 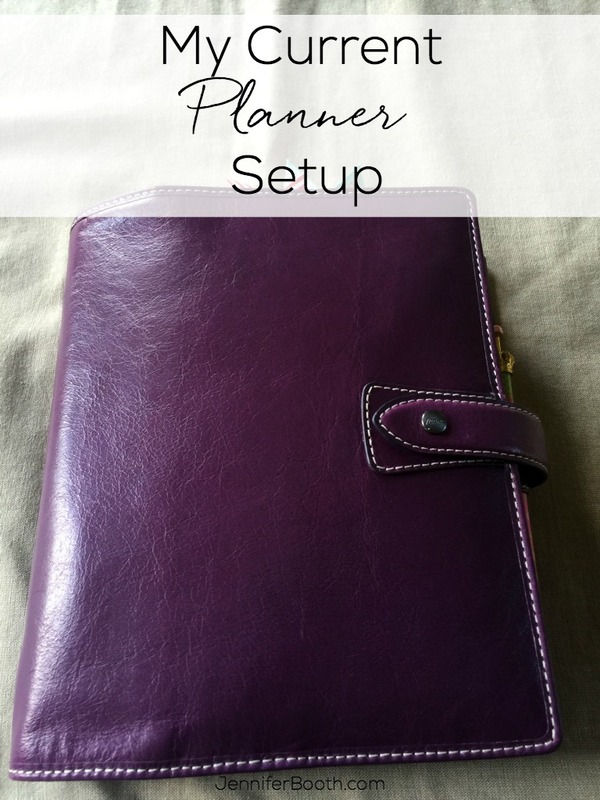 Last year I wrote a post about my planner setup. It quickly became my most popular post. I guess that proves my point that many people are still interested in paper planners. Because I’ve made a few changes to my setup, I decided it was time to write another post. This time, though, I also made a video to go along with it. You can find it at the bottom of this post. I am currently using an A5 Filofax Malden in purple. I love this planner because the leather is so smooth and pliable. It feels great to pick it up and hold it. Even though it’s heavy with all of the things I have in there, it’s still a joy to carry around. I chose this particular planner because it has rings large enough to hold a lot of paper. And, it has a snap closure instead of a zipper. I like this because I have a few embellishments that stick out of the top. Let’s take a look inside my planner. I use the monthly view to see all my appointments and commitments at one time. It helps me to get a feel for the month and keeps me from overextending myself. I use the weekly view to get a good look at the week ahead. I use this view to list out my tasks by context using the Getting Things Done system by David Allen. The daily view helps me to break down my day and figure out when I’m going to get all my tasks done. While I could probably do this on the weekly view, there really is not a ton of room to fit everything in. The daily view also gives me a place to jot notes that I look at each week during my weekly review. This section holds all the tools I need to manage my time with the Getting Things Done system. Arienne from Life Is Crafted sent me these cool dividers as a bonus to one of my purchases. They are used for brain dump, current projects, next actions, routines, and goals. 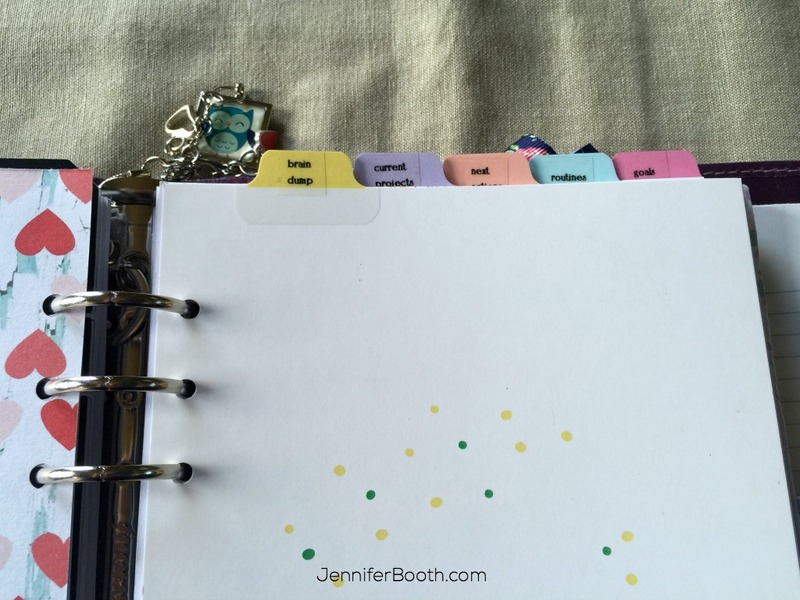 I use the pages behind these dividers to keep up with all of my projects and related tasks. This is where I look when I get ready to update my to-do list each week. This section keeps notes on various things around my home. Since we are selling our home and are either buying or building, I will use this section to keep up with important information for when we get ready to move. This section also has dividers similar to the ones in my Getting Things Done section. I use these for keeping up with info for my computer, tracking finances, planning meals, and personal information. This is a new section for me. 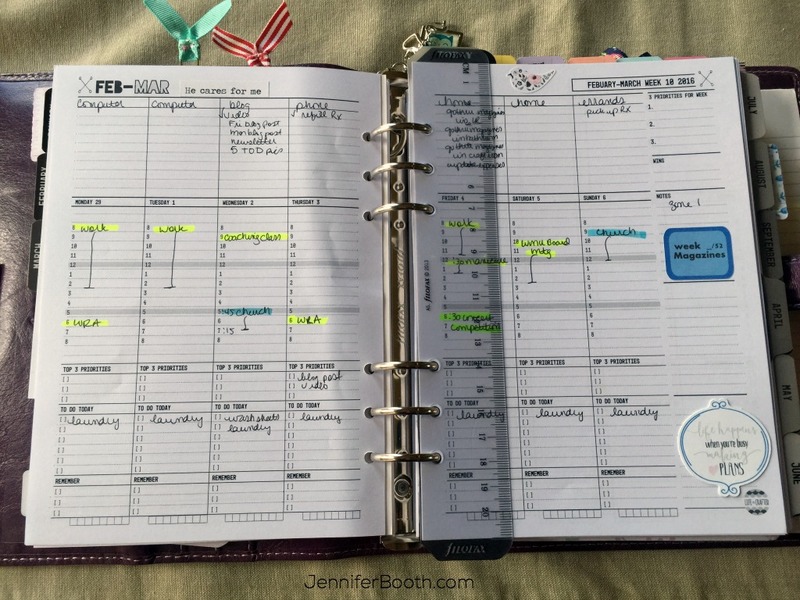 I tried using a different planner to keep up with my blog and other writing work. I figured out that I was not using it like I thought I would. So, I’m going to keep all projects and tasks related to my blog in this section. Then I’ll schedule my work into my weekly and daily calendars. So there you have it! 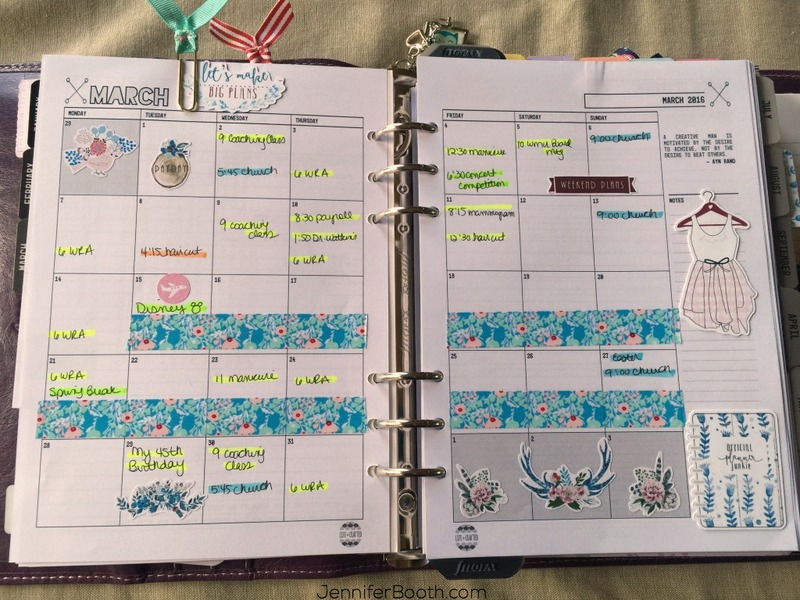 My current planner setup! What do you think? For a more in-depth look at my planner, check out this video. Want to know more about making your planner more effective? Check out these posts. Planner Page Layouts-Which One is Right for You? 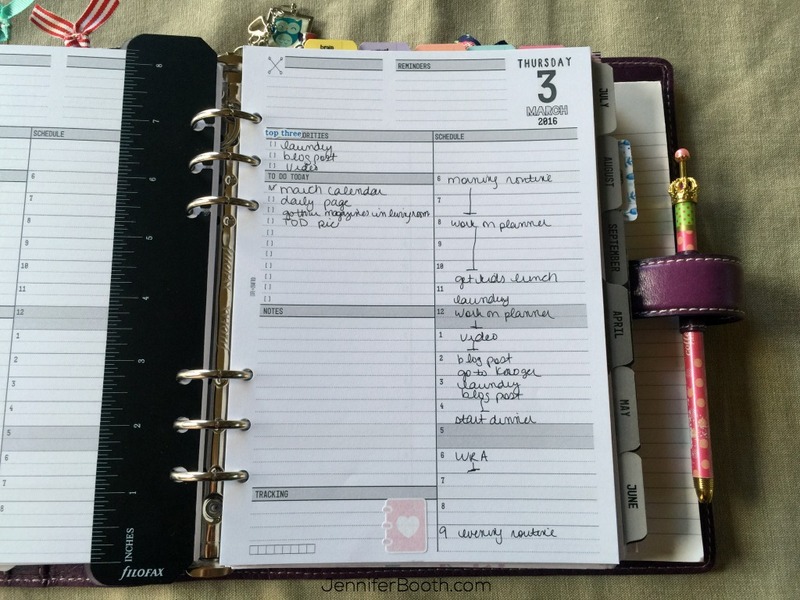 How do you setup and use your planner? Hey, Jan! This post is a few years old. Let me check and see where I put the resources. I can tell you the planner pages I used are no longer being made. I believe you can still order Filofax planners, though from Filofax.com. I’m not sure if the Malden is still available. Also, if you check out the store on my website, you’ll see where I have a set of printable planner pages you can purchase. They are undated, so you can start them at any time. I’ll let you know when I figure out where I left the resource list.